As Burmese people living in Norway, we are very shocked and saddened by the killing of a well-known journalist in our country. The shooting of Aung Kyaw Naing shows that, far from heading towards democracy, the Burmese government is continuing with gross and brutal human rights violations of its people. 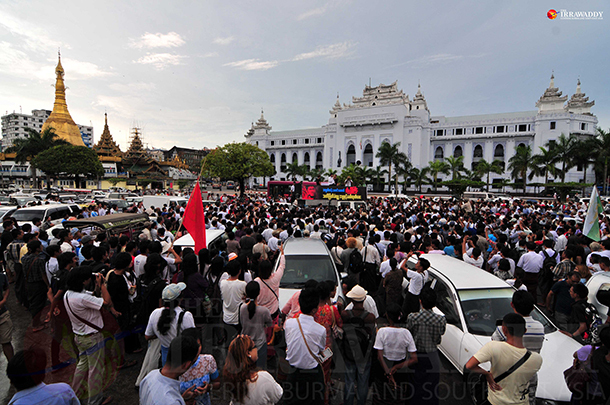 His death this month has prompted massive strikes and protests in Rangoon, and in Mandalay. We are also surprised that we have seen no coverage of this in the Norwegian media, which normally reports on Burma. We have written to His Majesty King Harald, who is scheduled to visit our in December to draw his attention to the killing. During the visit, the King will be accompanied by top Norwegian business delegates, as well as Kjell Magne Bondevik, head of The Oslo Center for Peace and Human Rights. We have written to the King, and others who will accompany him, requesting Norway to rethink its active support for the Burmese regime. The Burmese government and military have been making many promises to the international community, and the Norwegian government have been wiping huge amounts of their debt and granting very generous loans. We are hoping that Norway, for so long a supporter of Burma in its long struggle for democracy, will not just think of profits and investments. We want our country and people to enjoy the same levels of human rights and democracy enjoyed by the people of Norway. We are calling on the King and business delegates to raise the death of journalist Aung Kyaw Naing during their meetings with Burmese leaders in December.